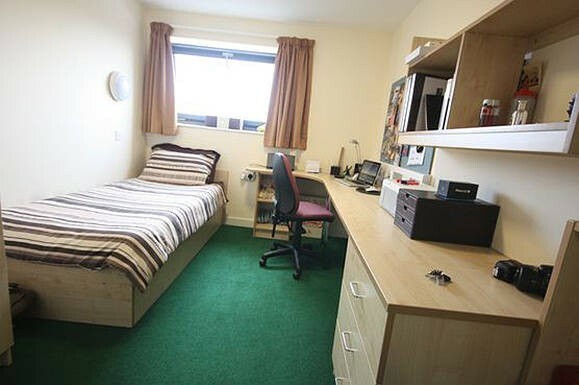 Speak to anyone with a background in student accommodation lettings and they will surely tell you of many things you very much should base your decision on. This is undoubtedly one of the most important and influential decisions you will ever made in the course of your life, so suffice to say it is a decision that should be made wisely. Just as there are many things on which you should base your decision, there are also several things you should never under any circumstances bring into the equation as important deciding factors. First up comes the mistake of being completely won over with the interior décor. Of course you want somewhere that is pleasant to spend time and if you find a place that feels as if it was decorated for you personally, it is hard to say no. Nevertheless, just because a place looks nice on the inside does not mean that the building itself is any good, the location is ideal or that the landlord is above board. From costs to comforts to location to amenities and so on, there are many more important things to take into account than just the way the place looks. Needless to say, therefore the same is also true for the building’s exterior. It often takes nothing more than a pretty building to win over so many tenants, long before they even set foot in the front door. Needless to say, by the time they do step inside, they are already 99% convinced that this is the place for them and so will overlook the vast majority of problems and clear reasons to think twice. It’s all well and good to bring the building into consideration, but not simply the way it looks from the outside. It is natural to feel as if you need to get things done as quickly as possible, particularly if you are looking to gain accommodation in an area that is in high demand. Nevertheless, it is a bad idea to let any sense of urgency cloud your judgement to such an extent that you and choosing a place only because you are in a hurry. There is of course every chance that your first picked location may fill up in the meantime, but taking your time is of crucial importance to avoid lumping yourself with a place you are not compatible with. Just because you have heard that a specific area is posh, this in no way means that it is definitely the right place for you. What some consider to be posh others will naturally consider to be overpriced and boring. And the same applies at the other end of the scale as well as one person’s opinion on one area will be totally different than that of another person. So when it comes to choosing an area, think more about the things that you want, like and need over and above what others think of the place in terms of its class and appeal. The same also goes for choosing a property or a location simply because you know it is where everybody wants to be. Following the status quo has the potential to lead to a good decision as it could be that they know what they’re talking about and indeed more about the subject than you. But at the same time, they may have absolutely no idea what they are talking about and they may not share any of your beliefs or values when it comes to what is important. So rather than just following the crowd, be sure to choose a place that is right for you and you alone. Last up, it is common to assume that the quality of the place is reflected directly in its price and that this applies at all levels. However, while it is true to say that paying pennies will usually land you with a property that is anything but extraordinary, paying over the odds does not in any way guarantee you a superior property. There will always be those who completely and utterly overcharge for no good reason at all, just as there will be the odd bargain here and there. Or in other words, don’t judge a place simply by its price alone.